The Cynoprobe offers the functionality to measure both ‘free’ and weak acid dissociable (WAD) cyanide concentration of up to three streams or sampling points. 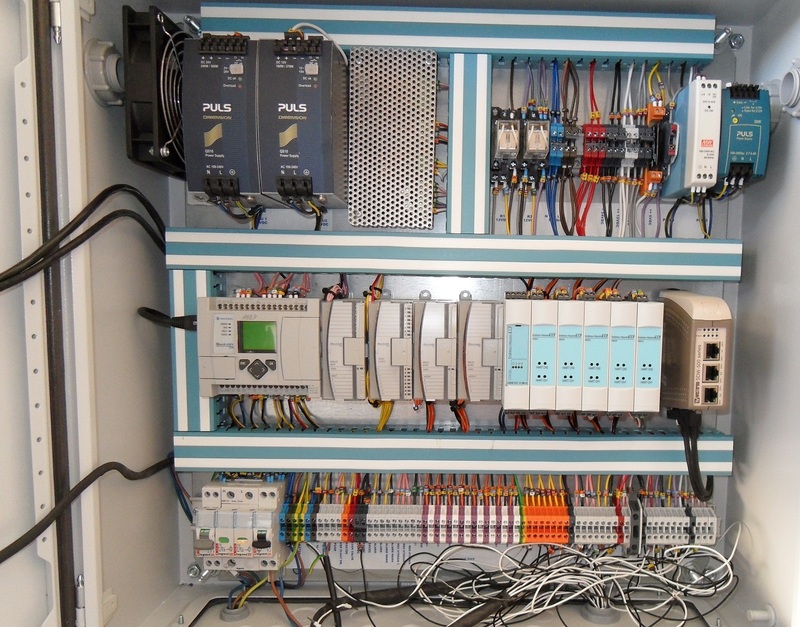 This results in a very cost-effective cyanide measurement solution. Cyanide reagent costs form a significant part of a gold plant’s operating budget. The Cynoprobe’s free cyanide reading can be incorporated into a control scheme as part of a cost-saving cyanide management strategy. The measurement frequency of the Cynoprobe facilitates tight cyanide control, less overdosing and reduction in cyanide consumption. Tighter control of cyanide concentration makes it possible to reduce the normal cyanide operating set-point without compromising gold recovery. As a result cyanide reagent costs have shown reductions of up to 20% and less cyanide is discharged into the tailings stream which is important from an environmental perspective. Allows for multiplexing of two streams for cyanide measurement. Can be upgraded to measure WAD cyanide as well. Fast analysis time (4 minutes), essential for good control. Measures the pH of the filtrate (optional). Below is a typical leaching circuit highlighting where Cynoprobes are installed to effectively measure cyanide. Dramatic reduction in cyanide consumption when used in a control scheme. 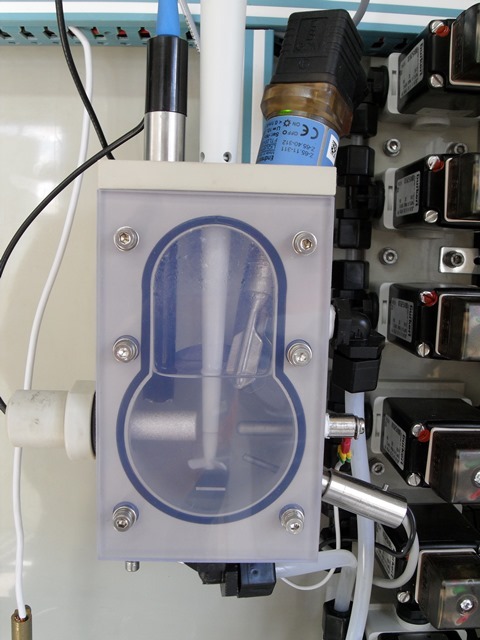 Real-time WAD cyanide measurement can be used for regulatory compliance and to control and optimise the cyanide destruction and recovery process. The Cynoprobe produces an accurate measurement of cyanide concentration on a variety of ore types over a wide concentration, 0.5 to 3000 ppm, and its analytical technique is immune to many common interferences. 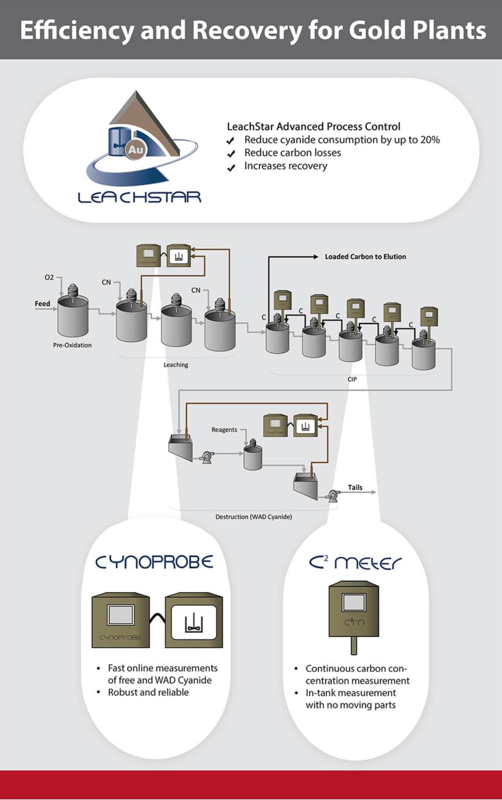 Click here to view the LeachStar Cynoprobe brochure.